Following their 27-14 loss to the New York Jets in London, the Miami Dolphins fired head coach Joe Philbin Monday afternoon, bringing an end to one of the most dysfunctional operations in the NFL. Tight ends coach Dan Campbell will take over for Philbin as the team's interim head coach for the remainder of the season. According to Ian Rapoport of NFL Network, the team has also fired defensive coordinator Kevin Coyle. 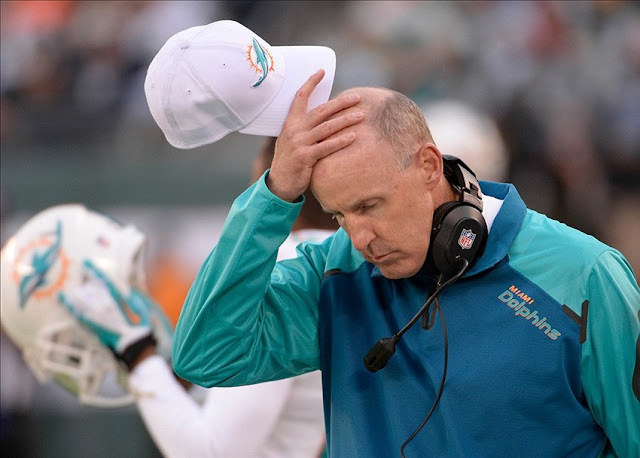 Philbin finishes with a 24-48 record in four years with the team, having failed to qualify for the postseason in each season. The Dolphins have stumbled to a 1-3 start the year and have played uninspired football, to say the least. A number of big offseason moves - highlighted by the massively ridiculous contract given to defensive tackle Ndamukong Suh - have blown up in the team's face. There have been reports dating back to last season that the team had quit on their head coach, and their performances thus far in 2015 show that. Philbin's tenure in Miami also saw the Richie Incognito scandal take place (although the investigation was run by Ted Wells and the whole legitimacy of the report has now been called into question), while his team also collapsed down the stretch in both the 2013 and 2014 seasons. So yet again, the Dolphins are destined to waste a pretty good roster of talent because of their own ineptitude. 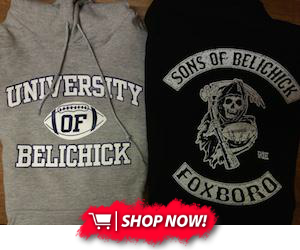 Enjoy rubbing elbows with the Bills down in the AFC East cellar.